Dutch Plantin aims to centralize the supply of raw materials for coir products in India, to ensure the quality of our products and to meet our customers’ standards in the best possible way. As an answer to the ever increasing demand for coir pith, we see organizations enter the market with coir products of fluctuating quality levels. 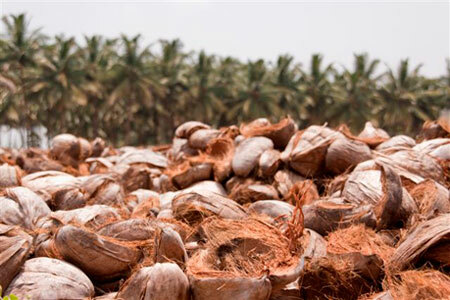 Especially too young coir pith can cause problems in the growing process, because it cannot provide the necessary stability, which means that the product cannot be buffered optimally. This can cause a sudden shortage of calcium en high rates of potassium and boron. For all horticulture products, Dutch Plantin only uses special aged coir that provides the essential stability.